People looking for home construction loans are either buying a fixer-upper home and renovating it or building a new home from scratch. FHA home loans rank as one of the best due to their relative leniency. This is so as FHA construction loan requirements include low credit and down payments as compared to conventional loans, making it easy for borrowers to get their desired loan amount. One of the major worries of borrowers is how to get an FHA construction loan to finance their building project. However, it is worth noting that there is always a loan for you, whether you are renovating a house or building a new one. The Federal Housing Administration, popularly known as the FHA, is a division of the US Department of Housing and Urban Development, which is also known as HUD. The FHA created the FHA home loan program to make it easier for consumers to get a mortgage. The FHA construction one-time close is not the easiest program to qualify for, unlike the standard FHA 203(b). It has some restrictions and limitations as compared to any other FHA loan programs. The FHA Construction-to-Permanent(C2P) home loan is primarily used to finance the development of the borrower’s home and mortgage into one single transaction with just one closing. The borrower is going to be approved for an FHA Construction-to-Permanent (C2P) loan if the borrower qualifies for a long-term permanent FHA mortgage. 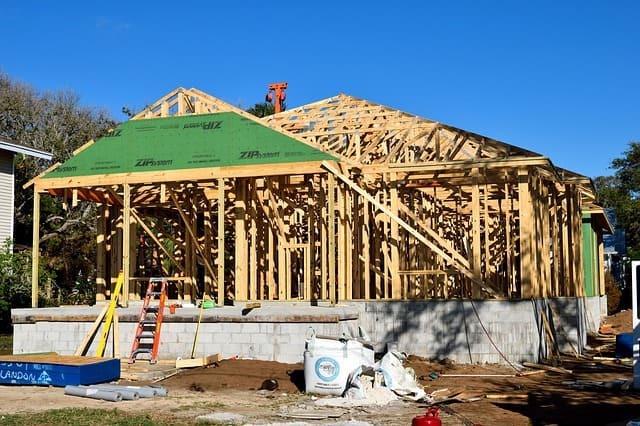 After finishing the construction of the new home, the borrower is expected to convert the temporary loan financing into a permanent long-term fixed rate loan. There are no additional costs involve nor an additional closing requirement. The belief that FHA construction loans do not exist is just a simple misconception that most lending institutions have created in the minds of borrowers due to their hatred for this type of loan. FHA construction loans are also called construction-to-permanent loans, in case you have ever come across such term. An FHA construction loan allows you to close on the mortgage even before breaking the ground. The funds provided with such loans go into an escrow account, with disbursements coming at various stages of the project after due inspection. A final inspection is usually required before the last disbursement is made. This is to ensure that the home meets all requirements and housing standards set forth by FHA. The borrower is going to receive a monthly statement for temporary financing based upon the amount of money dispersed thru the draw measure to the builder. Combining a pool construction with the home construction is allowed, certain restrictions will apply. As mentioned earlier, most lending institutions love to paint a picture of the non-existence of an FHA one-time close construction loan. Consequently, finding a lender that will offer you this type of mortgage loan can be a daunting task. However, this does not take away the fact that it is possible to get such a loan. TexasFHA.org has done an extensive research on FHA Construction Loan One-Time Close program. Our lenders originate and fund these loans in-house. The FHA construction single-close program is one of their specialty products. You can get an FHA construction loan for manufactured and modular homes, as well as single family detached properties. The time and stress involved in processing and completing this type of loan have made many lending institutions to shy away from offering construction loans. If you are in the market for a new home and having a difficult time finding the house of your dreams, you owe it to yourself to consider the FHA one-time close construction loan. FHA 203k loans, otherwise known as 203k loans or FHA 203k rehab loans are relatively more accessible to get compared to construction loans. This is so as most lenders tend to offer this type of loan. A 203k loan is another type of FHA-insured loan program that is provided to borrowers who wants to purchase a home that needs repairs. The home loan is also offered to persons that need additional cash to make fixes or improvements to their property in one mortgage. There are generally two types of FHA 203k loans – the Streamlined 203k mortgage and the Standard 203k loan, respectively. A streamline 203k loan also known as “Limited 203k” has a more straightforward and quicker process and is reserved for homes that require cosmetic repairs like flooring. Homebuyers and homeowners can finance up to $35,000 into their mortgage to repair, improve, or upgrade their home. The cost of the rehabilitation must be at least $5,000. The other type of 203k loan is the standard 203k loan or “Full 203k loan. This type of loan is meant for properties that require more extensive repairs or renovations such as foundation and plumbing repairs. The standard or full 203k is not capped at $35,000 and used if the home is uninhabitable for any reason at any time. Besides being a more popular and more accessible, the 203k loan has other benefits, some of which are briefly highlighted below. If you are in the market for financing to build your own house in a specific location, you can avail of the FHA Construction one-time close loan program. For more information on FHA construction single-close loans, contact us at 346-297-0516 or use the tools on this site to get started. IMPORTANT UPDATE: Effective March 1, 2019, We will only Underwrite Modular and Manufactured Home construction loans.